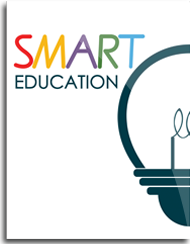 Smart Education Co. Ltd. is the leading provider of high quality and innovative e-learning solutions in Greater China. We are serving over 600 primary and secondary schools, and higher education institutions in Hong Kong and Macao with our English, Chinese and Mathematics e-learning programmes. We are also working with many schools in Hong Kong to develop curriculum-based e-learning resources and transform the traditional classrooms into digital classrooms. In addition, Smart Education is the master distributor of mimio interactive teaching technologies in Hong Kong and Macao. In addition, Smart Education has successfully helped many secondary schools to develop holistic school plans, secure funding from EDB’s English Enhancement Scheme, Quality Education Fund, and co-developed many school-based e-learning packs since 2007. Since July 2011, Smart Education has become Educational Testing Service’s (ETS) official representative of the TOEIC Tests in Hong Kong and Macao. TOEIC is the Test of English for International Communication, and the global standard for workplace English-language assessment. TOEIC is being used by over 14,000 organizations in 150 countries. Over 7 million tests were administered in 2012. Furthermore, Smart Education has also become the official representative of TOEFL Junior and TOEFL Primary tests in Hong Kong and Macao, and TOEIC and TOEFL ITP tests in southern China respectively. Smart Education also works with world-renowned publishers, technology and educational leaders such as mimio, Cambridge University Press, Singapore Asian Publications, Cengage Learning, and Macmillan Education to provide a wide range of educational programmes that meet the needs of students, parents and teachers. Smart Education Charitable Foundation Limited was established in 2009 as a registered charitable organization to organize and sponsor various charitable events and programmes which are beneficial to the community.